Decline and Rage in Rural America, Robert Wuthnow, Princeton University Press. Regardless, the rural-urban divide is real. Sixty-two percent of the rural vote went to Trump versus just thirty-five percent of the urban vote. Moreover, the smaller a county’s population and the farther it was from a metropolitan area, the more likely it was to have voted for Trump, according to NPR. 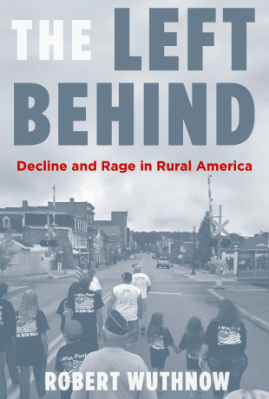 In “The Left Behind,” author Robert Wuthnow—a Kansas native and a professor of social sciences at Princeton University—attempts to explain what American citizens in rural America are thinking and feeling. 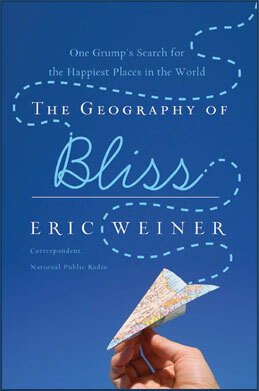 To that end, he spent a decade visiting hundreds of rural communities, giving him a broad-based, nuanced perspective on the many small communities that dot the American landscape. Why is Wuthnow’s book timely and important? Well, for one, rural voters have a disproportionate influence in state and local politics. And the rage and fear they are experiencing is unlikely to dissipate anytime soon. “My argument is that understanding rural America requires seeing the places in which its residents live as moral communities, I do not mean this in the vernacular sense of ‘moral’ as good, right, virtuous, or principled,” Wuthnow explains in the book’s introduction. Instead, he asks readers to consider the idea that rural Americans believe that Washington is not only unconcerned about their needs, but also a threat to the social fabric of their communities. 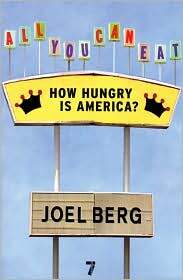 “The moral outrage of rural America is a mixture of fear and anger. The fear is that small-town ways of life are disappearing. The anger is that they are under siege,” Wuthnow elaborates. “The outrage cannot be understood apart from the loyalties that rural Americans feel toward their communities. It stems from the fact that the social expectations, relationships, and obligations that constitute the moral communities they take for granted … are being fundamentally fractured,” the fracturing evinced by population decline, brain drain, and disappearing jobs and businesses. This community-oriented mindset perhaps explains why residents of small rural communities often appear to be voting against their own economic interests. In the book “What’s the Matter with Kansas?” (2004), Thomas Frank considered whether people in the rural heartland—and Kansas in particular—are “so obsessed with abortion and homosexuality that they vote against their own economic self-interest,” (as Wuthnow puts it). But what if “community” is so vital that being anti-abortion and anti-homosexuality is in their interest, because that’s the prevailing feeling in small communities? This might also explain why residents of rural areas don’t seem to care that voting the way they do impacts state and national policy—and often leads to policies that are at odds with their own needs. “Part of the moral fabric in rural communities is a kind of stubborn resilience. The same people who want Washington to get out of their lives also usually feel an obligation to stay put and try to make things turn around,” Wuthnow concludes. One can argue, though, that local and regional solutions are rarely enough to overcome the psychological (and financial) toll that “seemingly insurmountable problems” take on rural residents, making their rage and stubbornness counterproductive. As for the audience for this book, potential readers include those who consider a vote for Trump an unforgivable offense. These individuals, by and large, are no longer sympathetic to the plight of many rural Americans. I encourage them to consider a paragraph from the “The Left Behind”’s epilogue, which reminds us of the value of continuing to engage with those who think differently. “It is not easy to understand what feels right to people who live in communities radically different from [your own], Wuthnow offers. “I’ve deliberately sought out people whose views differ from mine. I’ve attempted to understand them as fairly and objectively as I can.” You should too. Why Smart Companies Do Dumb Things—by Calvin L. Hodock, Prometheus.